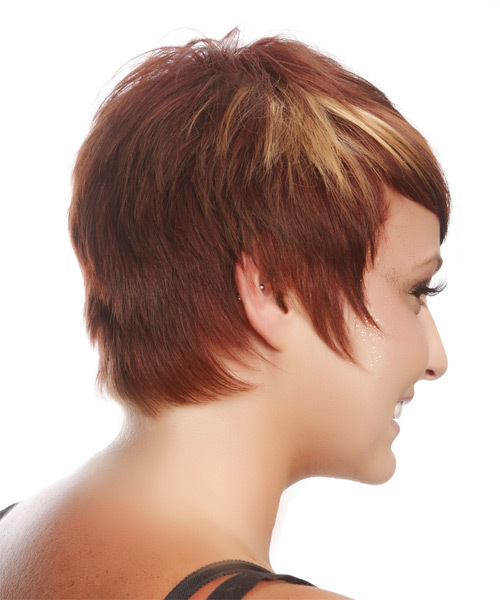 The back of this cool 'do is tapered into the nape with sliced or jagged layers angled down towards the jaw-line. 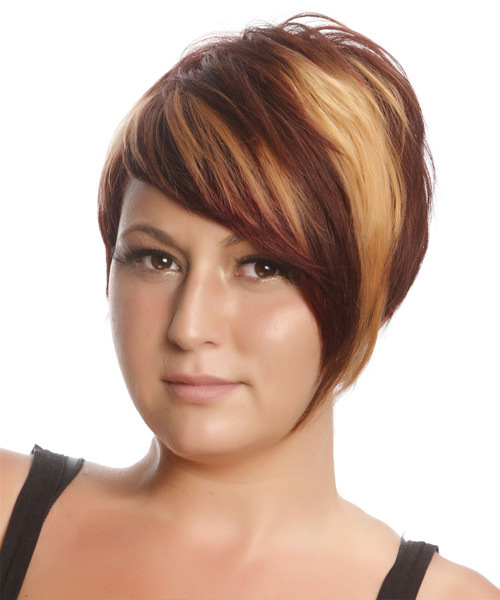 The top also has jagged cut layers for shape and texture allowing the highlights to seep through for a fab finish. Regular trims is needed to maintain this style. Teasing at the roots will help to direct the hair and to add body.